Home » Relationship » DJ Pauly D Multiple Girlfriend Rumors Erupts, But Who's He Dating? DJ Pauly D, who has mastered scratching the vinyl record on a turntable, seems to have a hard time perfecting the rhythms in his dating life. With a fistful fame and charming looks, it was not big of a deal for him to get down with girls. But, why did he hold back from turning girlfriend into the wife? The American native rose to prominence when he entered in MTV’s reality show Jersey Shore as one of the housemates. His feature was impressive enough to grant him his own spin-off, The Pauly D Project in the channel. The star DJ is also known for collaborating with renowned artists including 50 Cent and Britney Spears. He is bestowed upon by the prestigious Teen Choice Awards consecutively in 2011 and 2012. Read Also: Sophie Hunter Bio: Married, Children | Who Is Benedict Cumberbatch's Wife? 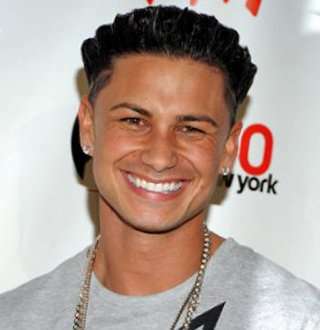 Pauly D was born to parents, Paul D. DelVecchio Sr and Donna DiCarlo DelVecchio on 5 July 1980 in Providence, Rhode Island. He holds Italian roots and was given a birth name, Paul DelVecchio. Inspired by Adam Michael Goldstein, known as DJ AM, Pauly's interest in music sparked at a young age and he aspired to become a music artist. At age 38, his childhood aspiration has come true as he is a top rated DJ in the industry. The music artist has run a steady race in the music track, but his status in the relationship arena is anything but steady. The Jersey Shore star can pull off a concert without an effort, but when it comes to dating a girlfriend, the criteria rise up otherwise. And, with a baby on the shoulder, the prospective girlfriend has to have a motherly character. Yes, D fathered a baby daughter, Amabella Sophia Markert from his Las Vegas one night stand with a woman named Amanda Markert in 2013, wiping off a string of gay rumor, that rose in October 2012, when he mentioned bromance with MTV’s Vinny Guadagnino in his twitter. The father of 5 years old tried getting along with former girlfriend Aubrey O’Day in 2016 but called quit on the year-long relationship in 2017 as he was not ready to offer the commitment O’Day wanted. She was hoping a ring from him, but he knew better than to progress the relationship. O’Day is still special as she was fortunate enough to meet his daughter while her successors had to keep a distance. Pauly D Wants More: Girlfriend Or Mother To His Daughter? In most cases, a one night stand merely leaves any imprint as its participants move on in life. But DJ’s case has offered him a gem of a daughter to treasure throughout his life. And the impact is a much intense resulting rise in his standards when it comes to dating ‘the one’. Following the split with his former girlfriend, he allegedly dated Geordie Shore's Sophie Kasaei in during April 2018 followed by Vanderpump Rules’ Scheana Shay later in June. However, there is no confirmation regarding his suspected girlfriends. He could be having only a good company with the girls and experimenting them simultaneously, while he is skeptical about being in a relationship provided that his special one shall be his life partner for good. The door to dating remains open for Pauly until he comes across the perfect match and he is not letting go any chances either within the show or outside.